This painting is all about the reflections and shadows cast. 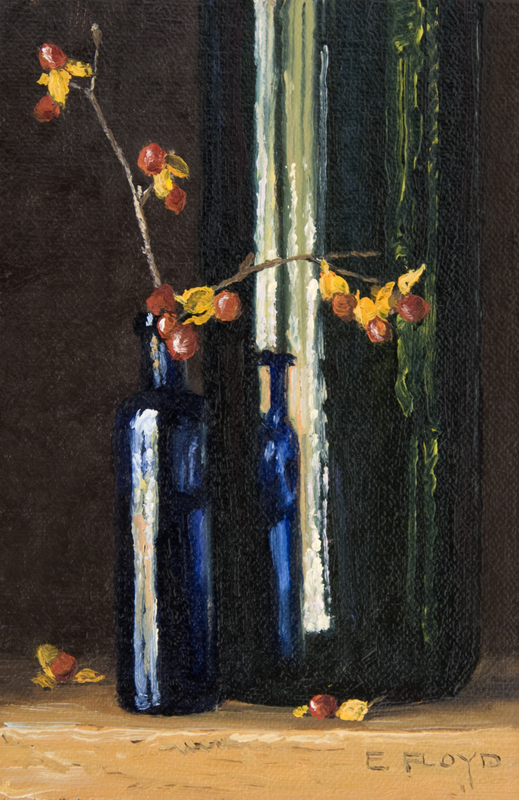 The cobalt blue bottle is one I purchased in England this past summer, and I just love how it reflects light... The surface is not perfect smooth like glass bottles of today, instead there are puckers and imperfections that just make the reflections more enchanting.